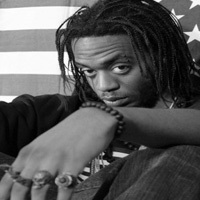 Robert "Recycled Sounds" Davis has been making a strong name for himself in 2012, with mind blowing productions featuring artist such as members of Raider Klan (RVIDXR KLVN), Sortahuman, and Cauzndefx as well as many other underground/up-and-coming artists. His album R.U.O.K. was released on 12/12/12, and if you have never heard his music, "Carried Away In 1979" is the perfect introduction to the depth and feeling behind his music. He calls it "A collective of thoughts, vividly place together, giving birth to a detailed storyline using movements and still images. 'Don't Be Scared, Have Faith' is more than just five words. It is a positive message of hope and love, with the intent to heal. And pay attention to lyrics! Many mainstream artists make music with the intent to destroy, not build. Elevate your mind, body, & SOUL! Don't let these demons win you over. Stay Blessed, You Are." His words are felt in your heart and the message may touch your soul but the video is not for the weak minded, as it may come across as evil. But his lyrics let you know it has nothing to do with "being" or "rapping" evil, but rather to show people that other artists are putting things that they shouldn't into their music.